Fill out the form with any questions or inquiries you have for the sales consultants at Reeder Ridge-Masters Collection. You can also call or chat with us for immediate responses. In 1.3 Miles Turn Right to Stay on Eden Prairie Rd. 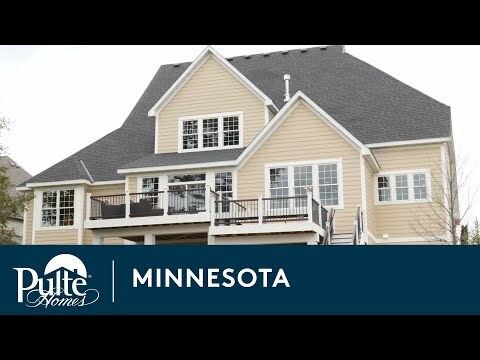 Discover Reeder Ridge, a picturesque community overlooking the MN River Valley, offering quality built single family homes in an amenity-rich neighborhood. This upscale community is just minutes from shopping at Eden Prairie Center and is within the highly acclaimed Eden Prairie School District. Spend your summers at the neighborhood pool or at one of the many nearby lakes. If you love golfing, you’ll appreciate the lush green courses in Eden Prairie and the surrounding area. The life you want to live is waiting for you at Reeder Ridge-Masters Collection. Explore this community and see for yourself. The life you’ve envisioned is waiting for you at Reeder Ridge. Relax by the pool or take a stroll on the neighborhood trail and enjoy the breathtaking view of the Minnesota River Valley. Just a few miles from Reeder Ridge, discover premier shopping at Eden Prairie Center, or perfect your golf game at multiple nearby golf courses. Eden Prairie, a prestigious western suburb just 20 miles from Minneapolis, is known for its highly regarded school district, scenic views, and vibrant retail venues. Reeder Ridge residents will enjoy all that this beautiful city has to offer, and living minutes from high-end shopping at Eden Prairie Center, fine dining at Redstone and Wildfire, plus quick and easy access to major freeways.